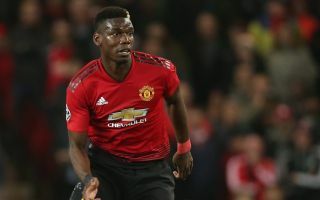 Manchester United midfielder Paul Pogba has reportedly instructed his agent to try and engineer a transfer to Real Madrid as they become his favoured option for his next club. According to Don Balon, the France international has been encouraged by interest shown in him by Madrid president Florentino Perez, and is now putting a move to the Bernabeu ahead of other potential offers from Barcelona and Juventus. Following a poor start to the season by Real, it would not be too surprising if they felt it necessary to splash the cash on a big name like Pogba to bolster their midfield. Luka Modric and Toni Kroos have not looked at their best and a change for a younger player more capable of playing box to box may be a wise move. Pogba has also had his difficulties at Old Trafford, so swooping for an unsettled player like him seems a decent strategy to ensure they get the player they want. The 25-year-old shone in United’s win over Newcastle yesterday but has generally disappointed in his time in England so far, with a club like Madrid perhaps more suited to his particular playing style and skill-set. Los Blancos have also been one of Europe’s most successful clubs in recent years, dominating the Champions League with four final victories in the last five seasons, which a player like Pogba would no doubt love to be a part of after a lack of major trophy wins in his time with United so far.